Do you have that wide-eyed feeling of limitless possibility? On this, the second day of the year, it seems like anything is achievable, all goals can be reached. It’s this mindset that has us make New Year’s resolutions to lose weight or stop smoking. As you linger on your personal goals, we here at The Cruise Web want you to make a travel resolution this year. 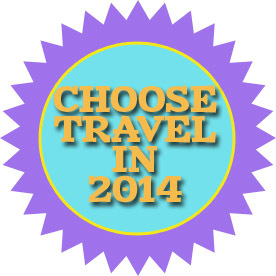 In 2014 I choose to travel! Now, for many of you, we know travel is and will always be on your list, but this year we challenge you to fulfill a new travel resolution. Below is a list of travel resolutions you might choose to make this year, and stay tuned to our blog, because this month we will be exploring how you can take these resolutions and make them reality. I will travel to an exotic destination. I will see a new part of America I haven’t yet explored. I will see the Northern Lights, also known as Aurora Borealis. I will learn how to document my travels better. I will take some time for me this year by going on a vacation. I won’t waste any vacation days this year. I will save up my money this year so I can afford a vacation. I will venture out on my own and travel solo this year. I will overcome my fears and take an adventure, like zip lining through the rainforest or shark diving in South Africa. I vow to go off the grid on my next vacation, that means no email, no cell phone and no Facebook! Did you make any travel resolutions for 2014? Share them in the comments below and remember we are here to help you take those resolutions and make them into reality. 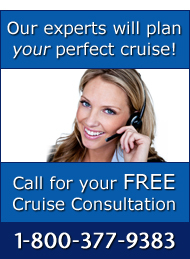 Call The Cruise Web today to talk to one of our travel experts and start making plans for 2014.